When I visited Zutavern Ranch Co. this summer, Con told a story about his dad using the baby’s A+D diaper cream on their Hereford cows after a spring snowstorm. He said that was the year everyone in their area started looking at Angus bulls. I have to wonder if it was a big, all-encompassing storm. If so, perhaps it was the same one that caused Chuck Pluhar of Cohagen, Mont., to switch breeds. “We had 400 cows at the time and because of their sunburns we had to milk 150 of them twice. That will make you a believer,” Chuck says. 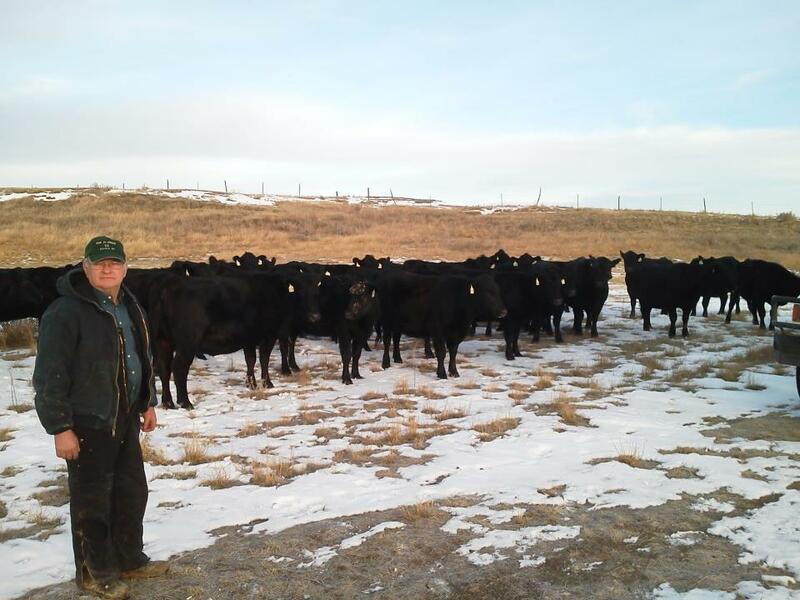 It wasn’t just his use of the Angus breed, but rather his quest to develop a superior herd that works in the feedyard and the dinner plate that earned the ranch the CAB Commitment to Excellence Award back in 1993. We decided to check on him all these years later. Good things have been happening in Montana, and we’re not surprised. Today Chuck has 315 Angus cows and 140 heifers. His son Jeff and grandson Jason help run the ranch, carrying on the 101-year ranching tradition started by his grandparents. He backgrounds a good portion of his calves and for the past 12 years has partnered on them with Beller Feedlot at Lindsay, Neb. Last year the cattle reached more than 50% CAB acceptance and 95% Choice. Even in the drought, his “pretty much maintenance-free” cowherd faired okay. “We live in a dry climate, but these cows seem to work here. I was impressed with how they did this year,” says Chuck, who looks for mothering ability, adequate milk and disposition. Premiums are a nice incentive to keep carcass quality top of mind, too, but the money just sweetens the pot. He says it’s his duty to take care of the ultimate consumer. We like that way of thinking!